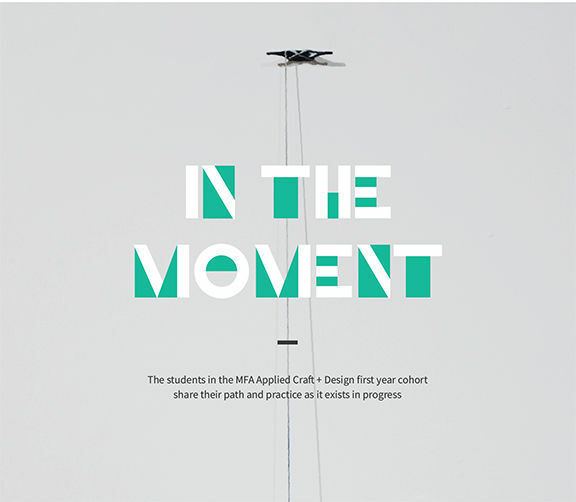 The students in the MFA Applied Craft + Design first year cohort will share their path and practice as it exists in progress. In The Moment will run from April 19 - April 25, 2018. Please join us for the exhibition’s opening reception on April 19, 2018 from 6 - 8 PM at the Bison Building. We also invite you to tour the exhibition from 4 - 7 PM on April 19th during Design Week Portland’s 2018 Applied Craft + Design Open House.